The clinic of Department of internal medicine No 1 is State Institution "Institute of therapy named after L.T. 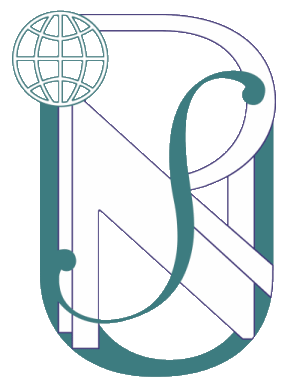 Malaya" of National Academy of Medical Sciences of Ukraine. Department Staff: 1 professor, 8 associate professors, 6 assistants and 2 laboratory assistants. Students of 5th and 6th year of the Faculty of Medicine at the department of internal medicine No 1. Successful implementation of the curriculum is possible owing to the clinical base which includes 9 departments of State institution "Institute of therapy named after L.T. Malaya" of National Academy of Medical Sciences of Ukraine and Communal Health Protection Institution “Municipal clinical hospital No. 28”. Department has sufficient number of English speaking specialists there by English trained students of the faculties of medicine. For the 6th year English medium students the department of internal medicine No 1 is the only one who teaches therapy. Department of internal medicine No 1 also provides postgraduate education programs such as internship, clinical residency and postgraduate school of medical education in internal medicine. Core of the educational process is forming in students the foundations of clinical thinking. In the teaching process manuals published by departments are used, such as textbook "Clinical pharmacology” (in Russian and Ukrainian), "Emergency management of internal disease" (in English), and a number of monographs, scientific articles and methodical recommendations. The 5th year students study the fundamentals of internal medicine (2 modules), including cardiology and rheumatology. 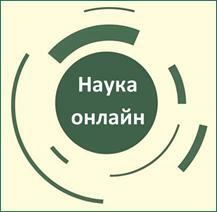 Studies are carried out in accordance with programs approved by the Central Methodological Cabinet of Health of Ukraine. Teachers use methodical manuals, thematic patients, situational problems in the teaching process. Lecture themes, practical classes and methodical recommendations are constantly updated and improved at the department. The main objective of teaching the 6th year students are professional skills. In the Department of Internal Medicine No 1 they study Module 3 “Modern practice of internal medicine" and Module 4"Emergency conditions in the clinic of internal medicine". An independent research and educational work is implemented at the Department by the 6th year students, training conferences are carried out with the clinical inspection of patients. The research work of the Department of Internal Medicine No 1 is directed to study of early markers of unfavorable course of comorbide pathology of internal organs and creation of personified treatment strategies. Such comorbide pathology as obesity, diabetes mellitus, non-alcoholic fatty liver, chronic pancreatitis, chronic kidney disease was investigated. Since 2015 the department staff has been working on research work "To optimize treatment of nonalcoholic fatty liver disease on the background of hypertension considering metabolic, vascular aspects and gene polymorphism AGTR1". The aim of the first year of the study is to examine the clinical, anthropometric characteristics, carbohydrate and lipid metabolism in patients with NASH combined with hypertension. There were studied of 107 patients. Studies performed to date. During the previous years 4 monographs, more than 10 patents, 4 methodical recommendations approved by Ministry of Health of Ukraine and 4 health information printouts were published by teaching staff. Results of the work were adopted to Ukrainian clinics in different regions such as Kharkiv, Cherkasy, Mykolayiv, Sumy, Poltava, Ivano-Frankivsk, Lviv, Dnipropetrovsk regions. Yearly department takes part in the organization of 3 Ukrainian nationwide research and practice conferences, one of them is dedicated in memory of previous Head of department, founder of the Institute of therapy of National Academy of Medical Sciences, L.T. Malaya. 5 theses for obtaining a Doctor of medical sciences degree, 5 theses for obtaining a Candidate of medical sciences degree are performed as a part of research work of department; 15 theses for obtaining a Master of medical sciences degree were defended. Every year the department staff consults and treats about 11000 patients with various internal diseases. The department staff gives a specialized therapeutic help in cardiology, rheumatology and gastroenterology clinical departments. Professors and assistant professors perform regular rounds and consultations in clinical departments of State institution "Institute of therapy named after L.T. 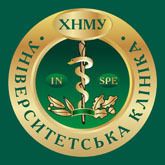 Malaya" of National Academy of Medical Sciences of Ukraine and Communal Health Protection Institution “Municipal clinical hospital No. 28”, municipal gastroenterology and nephrology centers as well as Regional center of prevention and treatment of arterial hypertension. The teaching staff provides consultation in polyclinic department of State institution "Institute of therapy named after L.T. Malaya" of National Academy of Medical Sciences of Ukraine, organizes and performs scientific, practical and clinic-morphological conference. Also postgraduate medical school for practical doctors such as evaluations training courses, specialization and thematical improvement courses in therapy are held on the base of department.